The bodice of the 1840s was long and tight, pointed in the front, and back-closing. Toward the end of the decade this more severe silhouette softened. The bodice shortened at the front, lengthened at the sides, and had a more rounded dip. Fan bosoms were popular, but mostly for middle-aged women. Armscyes were generally cut high, and shoulder seams placed toward the back. Elizabeth B. K. Earl wearing a deep neckline showing chemisette. 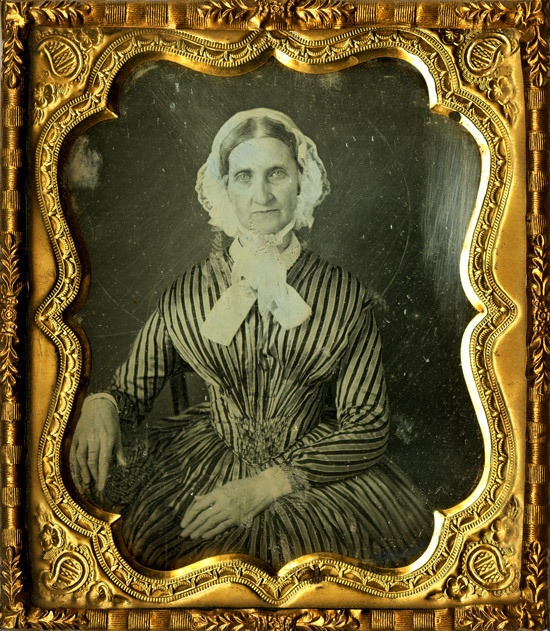 Enlarged reproduction of a 1/4 plate daguerreotype, circa 1847. Woman wearing a daycap and striped dress with a fan bosom. Enlarged reproduction of a 1/6 plate daguerreotype, circa 1846. Illustration of two women wearing dresses with pointed fronts. Reproduction of an unnumbered page between pages 96 and 100 of Godey's Lady's Book, Vol. 19, 1839. Woman wearing a shoulder-baring corseted dress with a pointed front bodice. 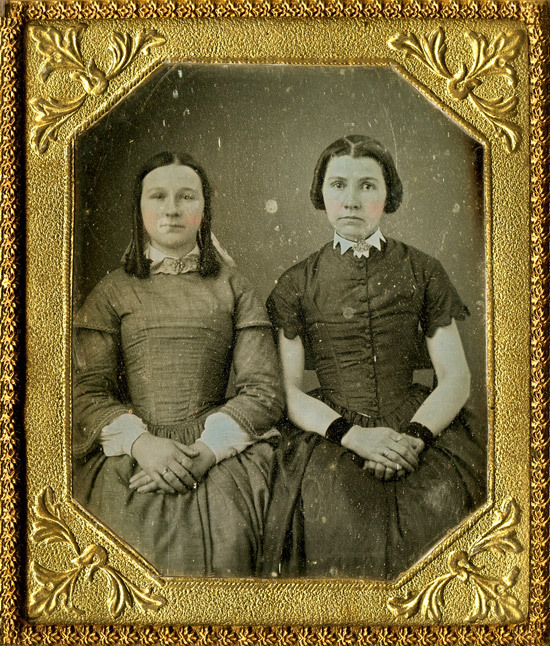 Enlarged reproduction of a 1/6 plate daguerreotype, circa 1840. 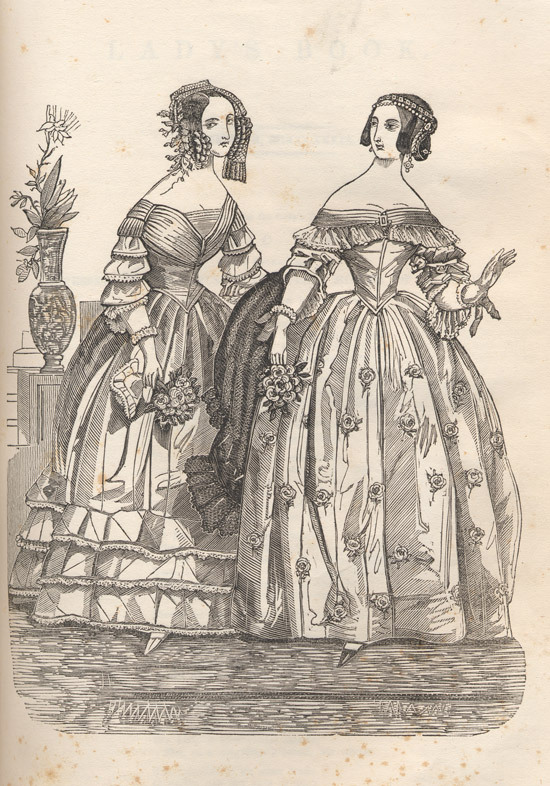 Mary Rosen and Mary Yocum wearing dresses with rounded dips in the bodice. 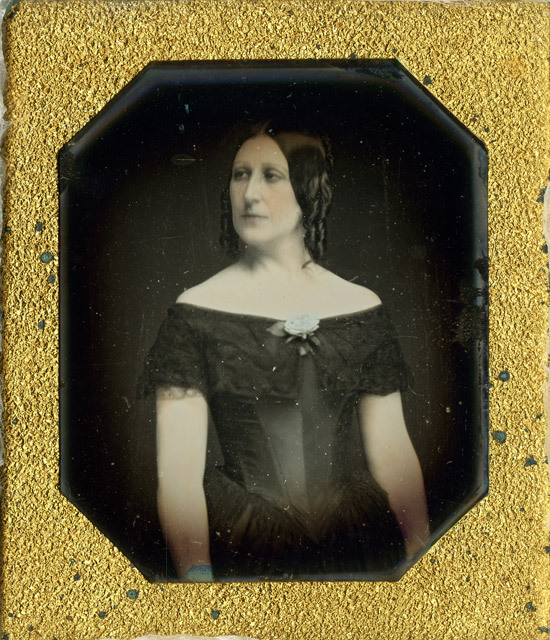 Enlarged reproduction of a 1/6 plate daguerreotype, circa 1849. 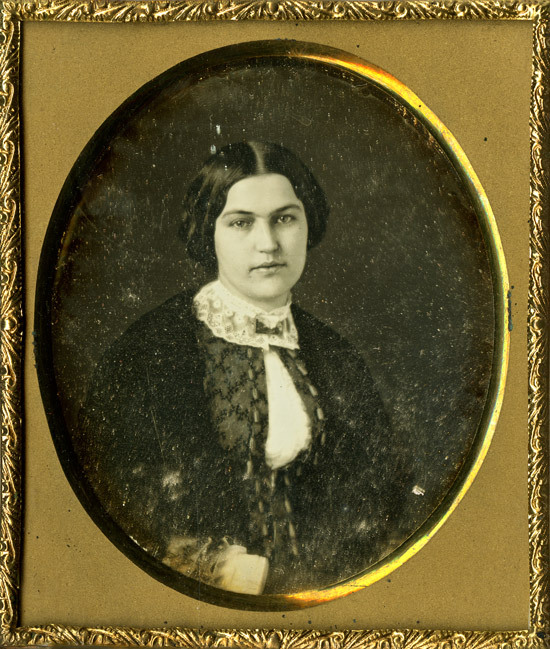 Elizabeth E. Collins wearing a cadet style bodice showing the white chemisette. 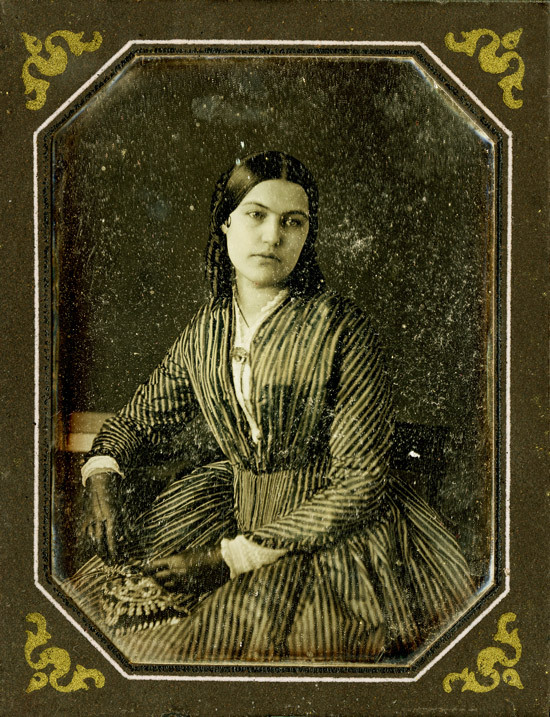 Enlarged reproduction of a 1/6 plate daguerreotype, circa 1850.